BlueStacks today released the first alpha version of its fancy new way of running Android apps on your Windows PC, and if their super-awesome video is anything to go by, it’s going to be a winner. We first told you about BlueStacks way back in April, but since then the app has really taken shape in the six months that have passed since then. The theory is a simple one: BlueStacks offers users an easy, and currently free, way to run their favorite Android smartphone apps on their Windows-powered computers. A new virtualization system is used, and that allows ten applications to run right out of the box, and a further 26 can be added according to the company. The BlueStacks team sees the growing Android population as a burgeoning market, waiting to be tapped by their emulation software – bringing the very best Android applications to the desktop, or even Windows tablets. With 56-percent of smartphone consumers purchasing an Android device in the last three months, it’s apparent that Android is rapidly becoming a preferred operating system. 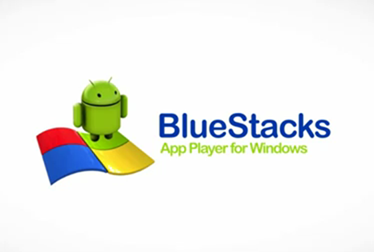 The BlueStacks App Player now gives users one-click access to their favorite Android apps right on their Windows PC. Both Windows and Android users stand to benefit greatly from this capability. An added benefit of BlueStacks is one that will no doubt be of interest to developers. Now, Android developers can write apps for smartphones as before, but their apps are now available to millions of Windows users around the world, and the developers themselves don’t have to put in that extra effort at all to make their apps run on BlueStacks. For application developers in the Android ecosystem, the BlueStacks App Player opens up a market of over a billion PC users. BlueStacks does not require any additional work on the part of developers and the apps run unmodified on the Windows PC. Those using Macs are currently left out in the cold, unless they use Boot Camp or emulation software such as VirtualBox, but BlueStacks will eventually be available as a native OS X applications as well, according to the company. The first BlueStacks alpha can be downloaded from the official website itself, or simply head over to this link. Have fun, and remember this is still a very early alpha release. Expect bugs and weird goings-on throughout and please do report back to the BlueStacks team – your input can only help them make BlueStacks a better app, and we all want that!